Perhaps you need to identify a Moen single handled kitchen faucet model so that you can include its name in a description for potential home buyers, or perhaps you need to identify it because you need to get a part for it. Whatever your reason, even though Moen literally has hundreds of single handled kitchen faucet models (that's what it's famous for), they have made it easy on their website to identify specific models. Go to Moen's website (link is below under References). Click on the link that says "Replacement Parts" at the bottom of Moen's home page, under the heading "Kitchen and Bar." Answer the series of questions Moen asks you to help identify the kitchen faucet model, which will appear once you click the "Replacement Parts" link. Compare the picture match result and the answered questions Moen provides to you, to your own kitchen faucet. Call Moen directly, using the toll-free 1-800 number, and ask Moen product consultants for assistance in identifying the kitchen faucet. Calling them is necessary if the website didn't return a direct match for whatever reason, including if you have an older model. Look for the name and model number of your Moen faucet on its original packaging. Go to a plumbing supply store and use a Moen products catalog to identify the single handled kitchen faucet model. 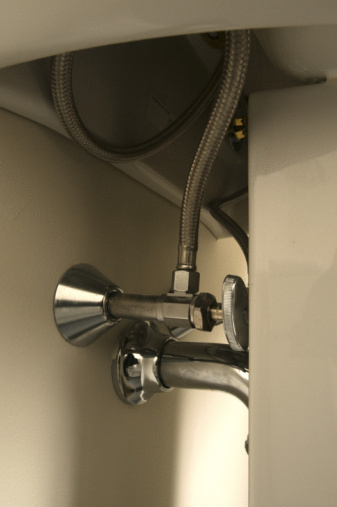 Turn off both the hot and cold water valves to the kitchen faucet. Remove the kitchen faucet altogether, and bring it to a plumbing supply store and ask the store clerk to identify the kitchen faucet.